Prediction markets are frequently used to predict the outcome of future events. New companies such as Augur, Gnosis and Bitcoin Hivemind develop new prediction markets based on the blockchain. Their goal is to democratize the prediction markets and make it easier for non-experts to participate. This could improve the reliability of the predicion markets and give better outcomes. My article (in Dutch) was also published in a publication on the future of big data. See my presentation for the Dutch Future Society in November 2016 below. A few months after my presentation and article, WIRED Magazine wrote a very similar article about these new prediction markets. So far, I have written more than hundred well-read articles on leading Dutch websites, in magazines and edited volumes. Websites include: ManagementImpact (management and innovation), Marketingfacts (marketing), OneWorld/Powerswitch (sustainability and energy transitions) and PubliekDenken (government). Based on my research I also wrote four books, three of which were nominated top 5 management book of the year. 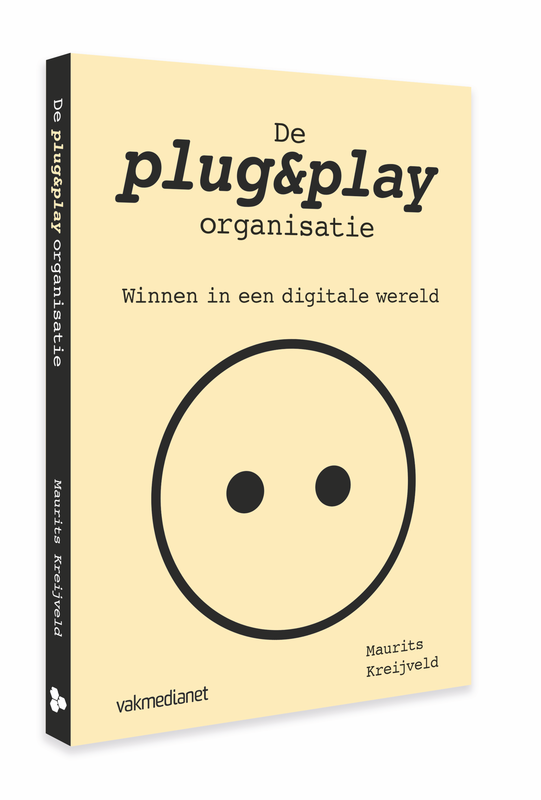 In my most recent book, ‘The plug-and-play organization’ I describe the impact of digitalization on organizations. This book shows the technologies and strategies that enable organizations to embrace digital innovation and transform. These include: the internet of things, crowdsourcing, digital platforms and API’s. Also business strategies are discussed (open-closed, central-distributed, how to leverage network effects). A successful and future proof organization must digital agile and adaptive, or in other words: be plug&play, be able to tap into the knowledge and competences of others, leverage the wisdom of crowds and let third parties make additions and applications that bring new value to the customer. 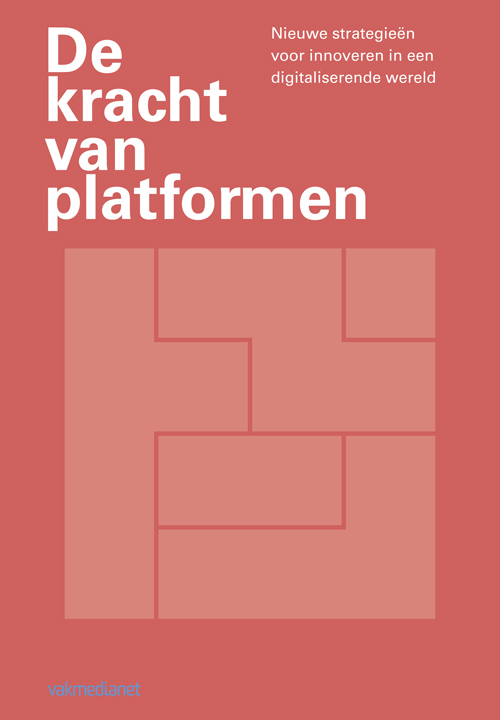 In 2014 I was first to publish a Dutch book on the platform economy (De kracht van platformen = The power of platforms). In this book, based on more than three years of extensive research, I describe the dynamics behind platforms and different innovation styles (competitive versus collaborative). The book covers the rise of the platform economy in multiple industries ranging from ict, healthcare and manufacturing (3D-printing) to agriculture and financial services (crowdfunding), publishing, energy sector and logistics. This book show the world in 2030. The Internet has created new ways for us to connect to and exchange ideas and information. This allows us to make much better use of all the talents, ideas, knowledge, creativity and manpower that are present in our society. Collectively we can be smarter. This is often referred to as the ‘wisdom of crowds’: under certain circumstances, a large group of individuals can take wise decisions and make good predictions. How can we harness this intelligence and everybody’s participation to tackle complex problems such as a healthy lifestyle and clean environment. Read more in my book, the result of foresight study of three years. ‘Veel gekwetter, weinig wol’ (2011), describes the outcome of a two-year research on the use of social media by governments and politicians: Twitter, Hyves (Facebook), Government 2.0 initiatives in the Netherlands and successful campaigns such as Obama 2008. Part of this work was published in: In ’t Veld, R. (red. ): ‘Knowledge democracy. Consequences for Science, Politics and Media’. Heidelberg: Springer. Read: Knowledge exchange through online political networks.